TTRS stands for Touch, Typing, Reading, Spelling. Here is a YouTube video to tell you a bit more. TTRS is a multi-sensory course that not only teaches children (age 7+) touch-typing but also helps them with their reading and spelling skills. Touch typing is fantastic skill for children to learn full stop in today’s digital era but even more so for children with dyspraxia/ dyslexia etc who struggle with processing and handwriting. TTRS cuts out some of those processing difficulties as children do not need to stress over letter formation and neat handwriting. Instead, through multisensory learning and repetition they will learn to type as fast as their clever brains think allowing them to get their words down quickly with minimal stress and effort! There are a total of 24 levels to complete with 31 modules in each level. Each module takes approximately five to ten minutes to complete and can be done at your own pace! Continual success is encouraged, as immediate feedback is given at the end of each module with positive reinforcement. 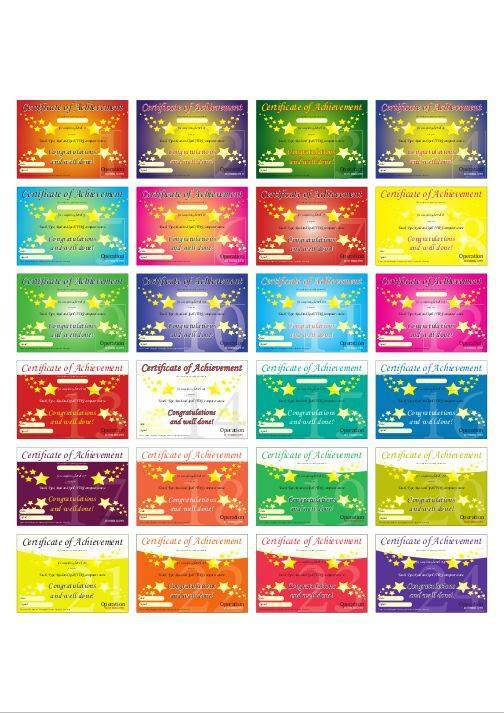 To reward the children for their efforts I had these certificates designed especially which will be sent to the children in the post as each level is passed! The certificates will arrive in special golden envelopes (Willy Wonka style ones!) to reward them for their efforts and to encourage them to keep going. The trial will begin on the 1st of June for one month. If you want to continue after this the cost is just £10 per month for one child, £15 for 2 or 3 siblings payable by Direct Debit. hello, just wondering if I am able to access the free trial i’m in Australia?